Blog > Issues > Property Rights > The Forest Service pulled a bait-and-switch on a decades-old land deal. Here’s how the owners are fighting back. The Forest Service pulled a bait-and-switch on a decades-old land deal. Here’s how the owners are fighting back. When the government negotiates for a limited-access easement across your property, it cannot turn around later and decide it has an unlimited right to cross your property. Wil Wilkins and Jane Stanton, two Montana landowners, have had to sue the U.S. Forest Service to prevent it from pulling exactly that kind of bait-and-switch. This week, PLF took up their fight as their lead attorneys. At issue is who is allowed to use a Forest Service road across their land. Wil and Jane live next to the Bitterroot National Forest, and, in the past few years, excessive use of the road has led to serious traffic hazards, road damage, fire threats, noise, trespassing, illegal hunting, speeding, and other dangerous activities. The general public was never supposed to be using this road. In 1962, the previous property owners granted the federal government an easement for limited use by the Forest Service. The road was supposed to be used only by the Forest Service, its employees, and those with Forest Service permits, such as loggers and ranchers. The easement’s terms were clear, and a letter from the Forest Service confirmed the purpose. Yet the Forest Service recently began to advertise that the road is open to the public. In doing so, the Forest Service is attempting to gain a better easement than it paid for, at the cost of Wil and Jane’s property rights. Unfortunately, the Forest Service’s actions are not unique to Wil and Jane. In other parts of Montana and the West, federal agencies have tried to expand access to public lands to meet growing recreational demand. But instead of negotiating a mutually beneficial solution with property owners, the government engages in litigation to grab land it never owned. This approach violates private property rights—but it’s also counterproductive to the goal of expanding access to public lands. Bad-faith tactics will result in fewer property owners choosing to negotiate with the federal government to allow access across their property. It also increases animosity between private property owners and the public. And, in many cases, the aggressive, unlawful approach is unnecessary to provide access. 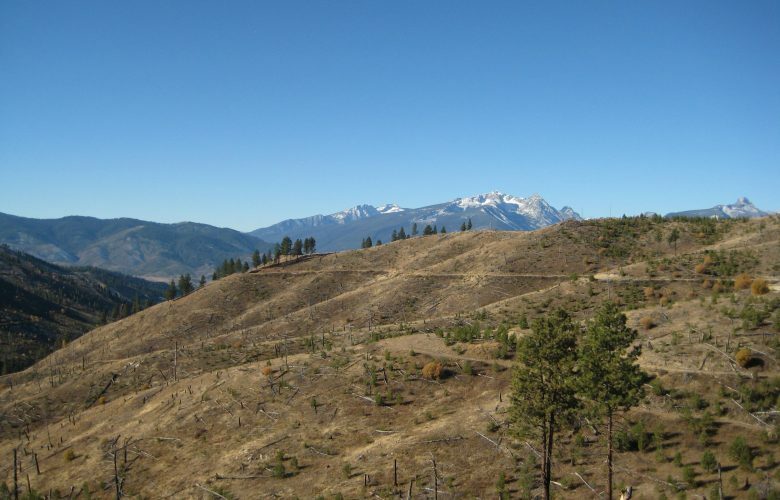 In the Bitterroot National Forest, there is a wider, better-maintained road just a few miles north of Wil and Jane’s property that provides access to the same part of the forest. But the Forest Service does not think that is good enough. Expanding access to public lands is a noble goal, but discounting private property rights is not the way to achieve it.